The Windy City was once a hotbed of illicit distilling and bootleg booze smuggling, not to mention bloody gang warfare, but now, 85 years after the end of Prohibition, Chicago is well established as a whisky city once more. Felipe Schrieberg reports. Chicago has a long and bloody history involving alcohol. In the mid-to-late 18th century, the city was a significant brewer of beer. During Prohibition (1920-33), when alcohol was declared illegal in the US, Chicago gangsters including Al Capone and Bugs Moran famously smuggled liquor in from Canada, and pitched battles raged across the city over the spoils. More recently, Chicago has been transforming into a whisky town, if under more peaceful conditions. The number of bars with a serious whisky selection has exploded in recent years, and local and regional retailers are shipping large numbers of bottles to meet the demand. There seem to be more high quality whisky bars here than in any city in Scotland or the rest of the UK. The Fountainhead near Sheridan Park serves as an excellent example of what you can find here. Not only does this friendly bar and restaurant feature a selection of over 450 whiskies, but it also boasts its own exclusive range of single cask Scottish and American whiskies, as well as a strong selection of bottlings from the Scotch Malt Whisky Society (the bar is one of the SMWS’ partner establishments in the city). Most notable is its ‘cask ends’ room, decorated with cask end trophies obtained from Scottish and American distilleries alike. Another impressive and more recent Chicago whisky bar is The Franklin Room, a speakeasy and tavern which opened its doors in 2014 in River North. It counts more than 400 whiskies from around the world, and is a truly classy establishment, featuring luxurious spacious booths in a large basement space. It also boasts a special feature, a ‘whisky keep’, where bottles purchased by customers can be stored in a personal locker for drinking on future visits. And for a combination of whisky and the incredible live music that Chicago is known for, the Green Mill is the place to go, a favourite spot of Al Capone himself that has survived until today. Featuring a lovely selection of American whiskeys, the quality of jazz and blues music is unparalleled. Some of the acts at the Uptown bar feature the Joel Paterson Trio laying down proper Chicago blues shuffles on Sunday nights and on Tuesdays the venue stage is filled up with the musicians from the legendary Fat Babies, one of the best trad jazz bands in the country. These are just several of the many establishments comparable in excellent atmosphere and whisky selection. So, what has driven this incredible growth and demand? Martin (Marty) Duffy, US brand representative for Glencairn and a Chicago native, has some answers. He’s had a front row seat observing the evolution of the Chicago whisky scene and actively nurturing its growth. In addition to his brand rep duties, he has deep connections with the whisky industry – he was a brand ambassador for Diageo – and is a co-producer of the Chicago Independent Spirits Expo. Duffy also emphasises that Chicago hosts a large number of festivals, among them his own Chicago Independent Spirits Expo, Whiskyfest, Whisky Extravaganza, River North Whisky Festival, Bourbon & Bacon and Whisky Jewbilee. 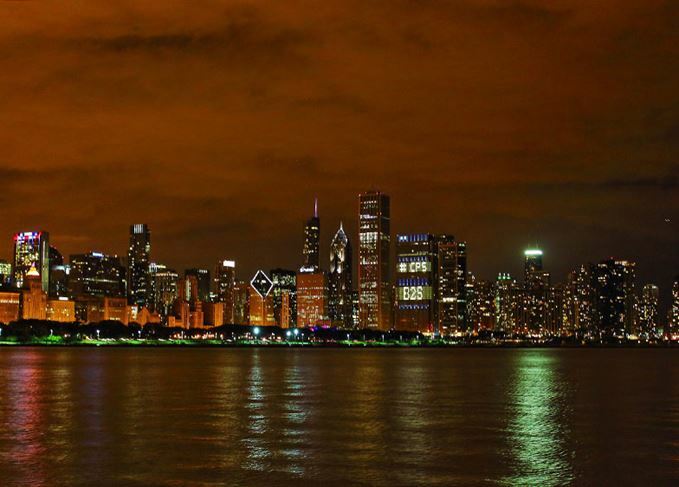 However, it’s not only bars and events fuelling Chicago’s rise as a go-to destination for whisky. Two distilleries in the city have been making a name for themselves: FEW Spirits is located just outside Chicago in Evanston, while Koval is the first distillery to open in the city since the mid-1800s. As in Scotland, Koval uses only the ‘heart’ cut of its distilled spirit (some American distilleries also use part of the tails). The similarities end there. Founded by Robert and Sonat Birnecker, Koval’s releases experiment with unusual mash bills, incorporating many types of grains. Its Four Grain features rye, oat, malted barley, and wheat, while another whisky is distilled entirely from millet. All of its whiskies are matured in casks sealed with beeswax. ‘We have been lucky to live in a city that understands the value of a good drink,’ Sonat said. ‘We felt that working with grains such as millet and oat would afford us an opportunity to bring something new and interesting to the table.’ Its long list of awards is testament to the success of Koval’s experimental approach. Balcones’ head distiller on getting his start in craft beer and his quest for Texan peat. Don’t even think about visiting the States without a dram in one of these world-class whisky bars.